Learn the science of facial rejuvenation and reclaim your youthful looks. Where did your youth and beauty go? Age. Plain and simple. The science behind using an effective anti-aging product that will give you results is really just about having accurate information. 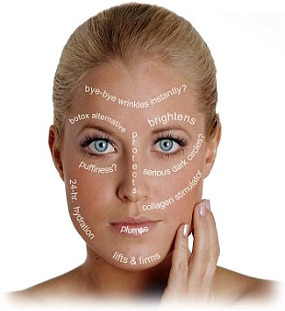 While it is unrealistic to expect that any facial rejuvenation ingredient can completely restore aging skin to its former appearance of youth and beauty, you can absolutely make your skin look healthier, less wrinkled, more firm, and diminish the age "spotted" look by using the right rejuvenation treatments that target your specific aging skin concerns. Choosing "anti-aging skin care treatments" that include an effective concentration of clinically proven facial rejuvenation ingredients. Developing a customized skin care routine with a layering strategy that is customized for your own specific aging skin concerns. Incorporating a few simple techniques that will enhance the effectiveness of your anti-aging skin regimen. What is the very "Best" anti-aging ingredient to use? There isn't just one! To truly get results you need to use a combination of different ingredients. Just as there isn't one miraculous treatment for all physical ills, there just isn't one product that can cure all the aging symptoms of a very complex organ such as the skin. The key to finding the right combination of ingredients that work the best for your skin requires experimentation. While an 8% concentration of glycolic acid works just fine for my sensitive, dry skin type; someone with oily or combination skin might find that a 2% BHA works much better for their skin type. 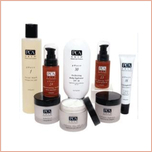 Don't be intimidated by the incredible array of choices for facial rejuvenation products. Review the list of clinically proven anti-aging ingredients to help guide you in selecting treatments that target your aging skin concerns or the best skin care treatment for each specific aging skin symptom. Then maximize the rejuvenating benefits of your clinically proven over-the-counter skin care products by adding the powerful anti-aging properties of all natural organic treatments to your routine a few times a week. now can produce significant results for years to come! To start a little rejuvenation magic of your own. . . I promise to use it only to send you Skinsational News.